Management of brands has traditionally been the responsibility of the marketing team. Aside from managing the brand's image at tradeshows, on printed media etc., marketing now also have to manage digital assets like the website, company blogs and of course social media channels used for building brand awareness, promotion and distribution of content etc. Aside from brand image and messaging, Marketing needs to think about attracting website visitors, converting these into leads and onwards to become customers. The activity of different leads based on what product or service is of interest to them. The conversations around the words and phrases that are at the center of their brand. But social media doesn’t just fall under the responsibility of the Marketing department anymore. Other areas of your business need to be actively involved and engaged. 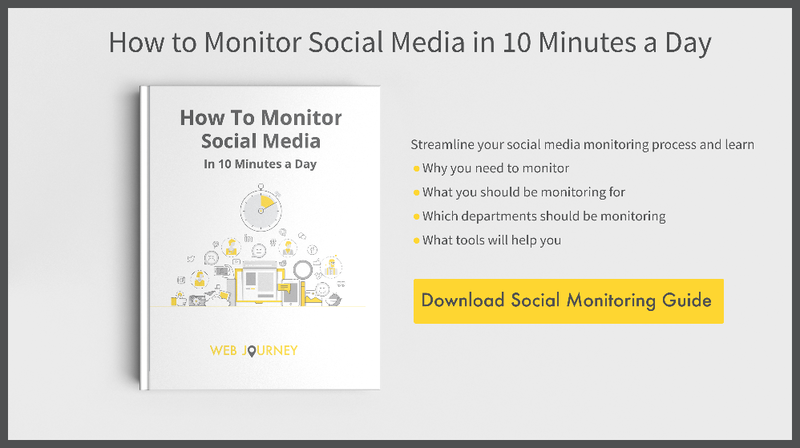 To learn more about why you should be monitoring social media, who should be monitoring and getting into a routine, download our guide to monitoring social media. According to research from Social Centered Selling and A Sales Guy, 72.6% of salespeople who incorporated social media into their process outperformed their colleagues. Also, socially savvy salespeople beat their quotas 23% more often. Social selling is the process of researching, connecting, and interacting with prospects and customers on social media networks - the key ones being Twitter, LinkedIn and Facebook. And it's gaining in popularity. Salespeople can create and develop relationships with potential customers by commenting on, liking, and sharing prospects posts. They can increase their credibility by taking an interest in what their prospects are interested in. Instead of hard closing tactics, social selling is more like lead nurturing. It isn't a quick win, but instead, Salespeople have to be willing to put in the time and effort to engage with potential customers. Some sales people even monitor competitors social media accounts and when customers come across as being very unhappy with their product or services, they make it an opportunity to connect them in the hope of winning over their business! Their “closed lost” leads mentions of certain terms. Their “closed won” leads to check in with them after the sale. I was recently working from home, and my broadband suddenly stopped working. After trying all the usual things like switching on and off the modem, what do you think I did next? Instead of picking up the phone and calling my supplier like I would have done in the past, my immediate reaction was to go to Twitter on my phone instead. So I went to their Twitter account, and there was no mention of a service issue. Being convinced it was impacting more than just myself I kept refreshing their feed. Even after 10 minutes and no response from the supplier I was becoming impatient! Shortly after, tweets started appearing from people having the same problem. Even if you don't officially provide support on social media channels like Twitter, it doesn't mean to say that people aren't turning to it for help. According to search engine watch, 72% of people who complain on Twitter expect a response within one hour. They also reported that 60% of respondents cited negative consequences to the brand if they didn’t receive timely Twitter responses. So it's no surprise that Twitter is the new phone for customer support for a lot of businesses. I am sure many of you are as impatient as I am when it comes to issues like these when you're busy, but these stats prove the importance of monitoring along with a quick response when someone has a problem. If the support team are listening on social media then they can rectify these types of issues as well as much more tricky complaints quickly and professionally. You will find that a lot of brands have designated social media accounts for technical support- related issues or questions and separate ones that marketing uses. This helps ensure that the different teams can provide customers with the immediate help and attention they expect. Just make sure they are monitoring the main accounts too in case customers aren't aware of a special support one. Questions, concerns and problems people have with your products and services. Conversations your leads and customers are having about your products or services. Feedback on your products or services. The expectations of executives have changed over the years. Consumers now expect the leaders of companies to be visible, accessible and engaged on social media. They need to represent their brands in new ways. In fact, a study released by BRANDfog suggests that 'social CEOs are better leaders who can strengthen brands, build trust in products and services, demonstrate brand values, and communicate accountability - all by simply being on a social network'. Top CEOs and Executives leverage social networks like Twitter as a valuable news source as well as a platform for communication. Being able to see and hear the conversation happening in real time is invaluable. For some CEOs and Executives, social media may still feel optional but they need to consider the potential impact it can have on their business. Conversations people are having not only about you but also about your executive team. Conversations your leads and customers are having about your products or services versus your competitors’ products or services. The activity of other executives in your industry when they mention certain terms on channels such as Twitter. These are just some of the key business units that need to be monitoring social media along with marketing, but there are other areas like the Product, Engineering & Design, Customer Success, HR teams etc that can also benefit greatly and gain important insights. 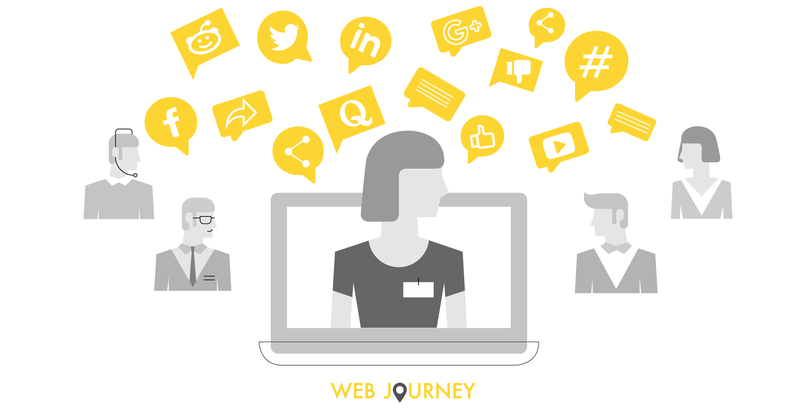 Steadily developing a new audience and engaging with your existing audience on social media, helps businesses hit their targets not only at the top of the funnel but throughout the entire funnel. So take some time to consider your strategy around social media and how your other business groups can get involved and reap the rewards! If you'd like to learn more about social media monitoring and how to build a process around it then download our free guide below or contact us directly for some advice.